In order to defend the deep sea, BLOOM does not hesitate to resort to legal action. BLOOM was compelled twice to do so and twice we succeeded. On March 2012, Bloom filed a claim with the Autorité de Régulation Professionnelle (Labor Regulation Authority) against Les Mousquetaires/Intermarché for misleading advertising. 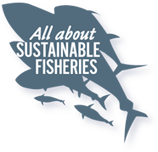 Broadcasted by printed press, the campaign was intended to cover destructive fishing practices with a false layer of “sustainability”. The legal battle was finally won on June 21, 2012, by decision of the Jury de Déontologie Publicitaire (Advertising Deontology Jury) and the firm lost the right to put the misleading label on its fish stalls. Despite the obligation for companies to file their annual accounts, Scapêche, Intermarché’s fishing fleet and main French operator of deep-sea fishing, refused to publish its own accounts since 2009. Confronted to this total opacity, BLOOM reacted and initiated a procedure for an interim assignment to the Commercial Court. In mid-January 2013, Scapêche had to submit to the law and publish its accounts from 2009 to 2011. Their analysis by BLOOM delivered edifying information on deep-sea bottom trawling. Indeed, despite nearly 10 million euros of subsidies received between 2002 and 2011 and 20 million euros injected by Intermaché, Scapêche has run up a budget deficit of over 19 million euros. Revealing that this business is in deficit, BLOOM took away Intermarché’s main argument that justified so far the existence of this destructive fishing method.